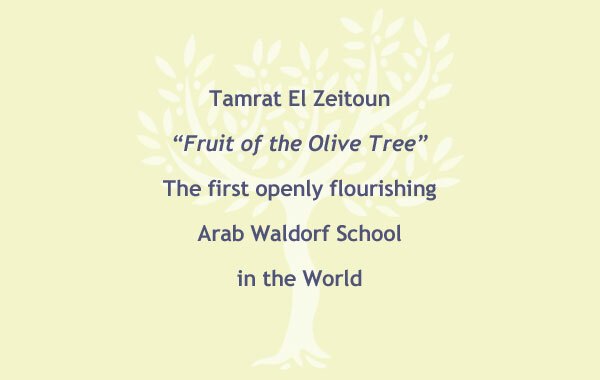 TAMRAT EL ZEITOUN, Fruit of the Olive Tree, is the first all-Arab Waldorf School. 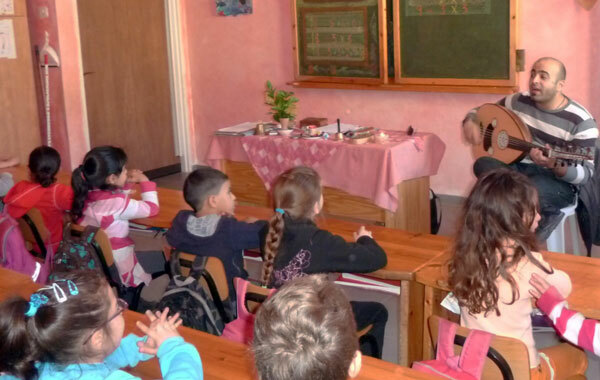 Located in the Galilee, it is the only school in its city that places Muslim, Christian and Druze children together in the same classrooms. 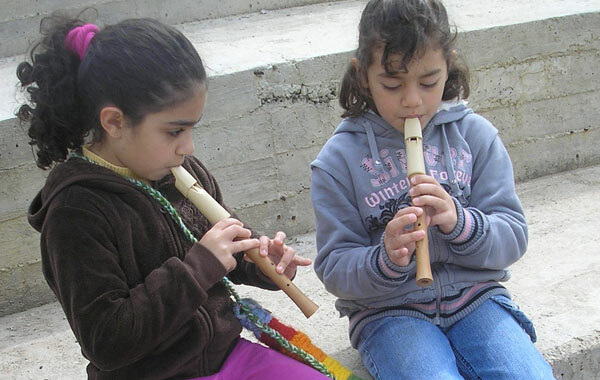 This school provides a model institution for Palestinians in the West Bank, illustrative of how Waldorf education can be integrated into an Arab community. Each year since the first kindergarten class, new ground is broken at Tamarat El Zeitoun. 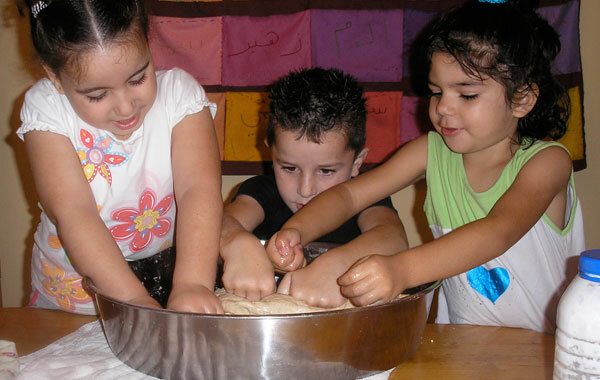 History is made in the development of Arab Waldorf curriculum for each grade level that incorporates the seasonal celebrations from the Muslim, Christian and Druze faiths. Tamrat El Zeitoun, is a bridge-building catalyst, bringing all three faiths of its community together in one classroom. Tamrat El Zeitoun, represents an exciting new educational direction arising from an inspired and empowered Arab community from Shfar’am, a city of over 30,000 Muslim, Christian and Druze inhabitants in the lower Galilee. 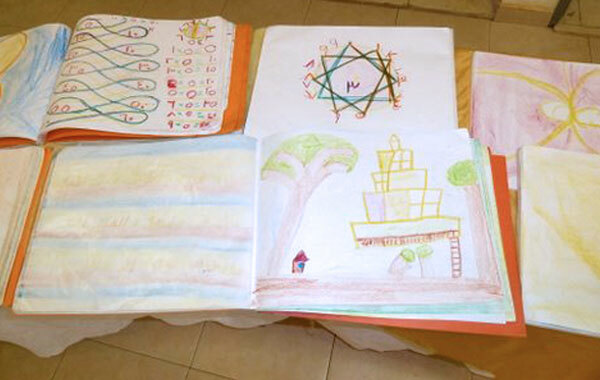 Already prevalent for children in the Jewish communities in Israel, families from Shfar’am wanted Waldorf education to be available for Arab children as well. They also believed that this education which embodies universal human values, could become a unifying force in a society torn by a century of bloodshed and mistrust. 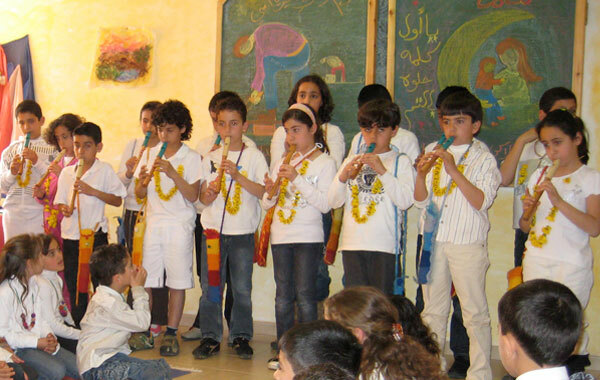 From its inception, Tamrat El Zeitoun was a catalyst for bridging Shfar’am with the neighboring Jewish community involved at the Harduf Waldorf school. Arab faculty from Tamrat El Zeitoun work with teachers at the Harduf Waldorf school in order to create an effective and comprehensive curriculum, including joint activities for their classes. The existence of Tamrat El Zeitoun is testimony to the resourcefulness, determination and dedication of this small but vibrant Arab Waldorf community. These qualities have enhanced their resilience in confronting and overcoming significant obstacles. Last year alone, Tamrat El Zeitoun negotiated with the city of Shfar’am for permission to continue occupancy of the community building, so as not to be evicted before the end of the school year. 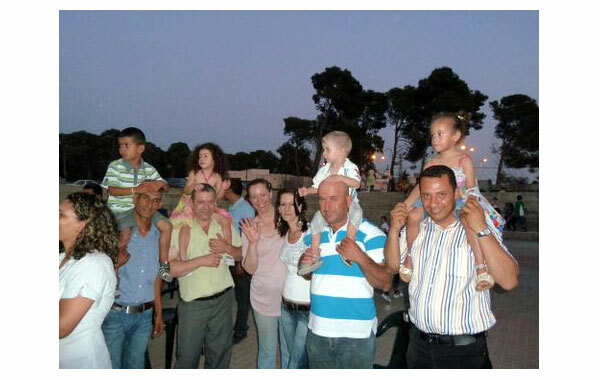 Seeking a more stable long-term location, they miraculously raised the funds necessary to build their new school building on land leased to them by a Tamrat El Zeitoun parent. After a summer of community hands-on participation in the building process, the school triumphantly took occupancy of its newly completed structure this last fall semester. 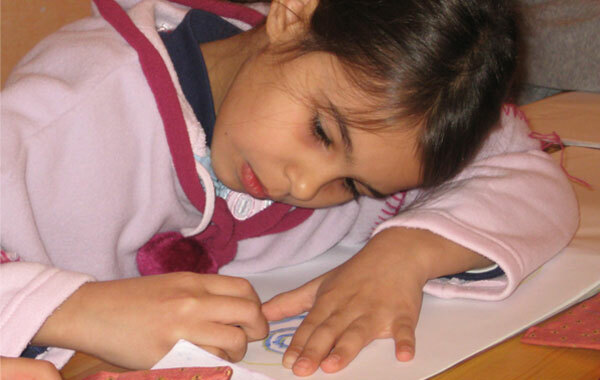 The first and only Arabic-language Waldorf school in Israel, Tamrat El Zeitoun runs on the dedication of their volunteer founders, modestly paid teachers and parent community. olive trees, rooted in their communities, beginning to stand strong and wide in a Middle East where children can flourish.